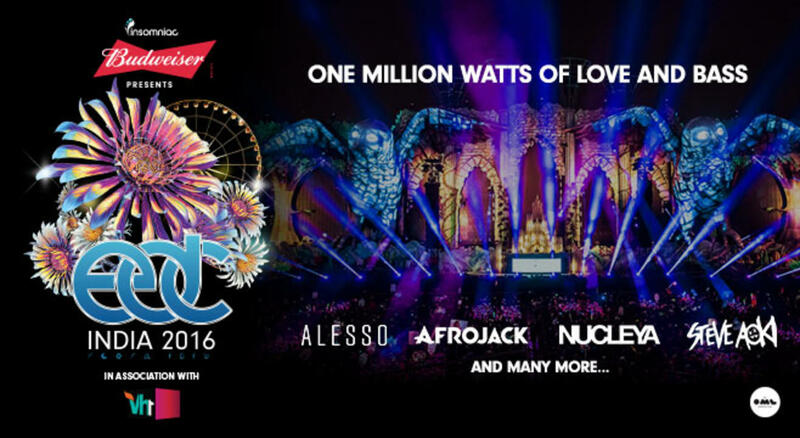 November will be a historic month for electronic music lovers in the country as Insomniac and OML in partnership with Budweiser will bring Electric Daisy Carnival (EDC), one of the biggest electronic music festivals in the world to India. The first-ever edition of the Vegas-style festival will be held in Delhi on the 12th and 13th of November, with one of the largest line-ups of International and Indian artists ever witnessed in the country. A multidimensional music experience, EDC combines the world’s most renowned electronic music talent with mesmerizing production and sound design that is sure to overwhelm fans with its sheer scale, creativity and overall immersive experience. Since its inception in 1996, EDC has traveled to various venues across the United States (California, Florida, Nevada, New York) as well as other countries including Mexico, the UK, and Brazil. The largest music festival in North America, EDC was dubbed the "American Ibiza" in 2010. EDC began as a one-day event in Los Angeles, welcoming a crowd of 5,000 dance music lovers in its first year. Over the past 20 years, EDC has grown into a global phenomenon, hosting over 400,000 fans over three days in Las Vegas this past June.